Senior Katy Thomas flips through note cards in an attempt to cram every last detail into her brain before a test. 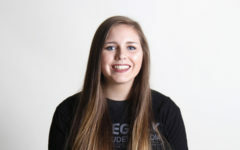 Thomas has spent her four years at Legacy in a mixture of AP, TCC and on-level classes. Struggling with test taking, Thomas took hits to her grades with each comprehensive exam she took. The feeling of needing to cram in everything right before a test lead to memorization rather than actual retention and learning. In our society we have created a culture of wanting to be the best and the thought of only being able to achieve happiness in “success”. At the beginning of sophomore year, students have the ability to look at their GPA and class rank to see where they stand among their peers. At the end of first semester during senior year, the class rank freezes and forever stays by your name on your transcript. With the competitive nature of the public school system, students experience high levels of chronic stress to the extent that it ironically impedes their academic success, compromises mental health and creates risk behavior. Anxiety in students has increased substantially since 1950 with the effects of stress leading to 30 percent of teens with feelings of sadness and depression, 31 percent who feel overwhelmed and 23 percent saying that they have skipped meals. On average students spend 17 hours a week doing outside school work including homework, outside reading and other assignments. Students learn that the best way to study happens through memorization, but no real retention comes with this method. Procrastination affects 87 percent of high school students. It creates stress, but sometimes this stress can motivate students to get their work done under pressure. Extracurricular activities such as football, band and debate take up a student’s time and energy. Thomas participates in theater and has been cast in over ten shows. 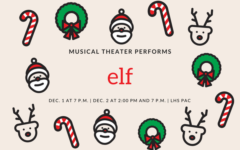 On average, a regular theater practice lasts for three hours after school and during tech week it runs until 10:30 p.m. Fifty-seven percent of students participate in at least one after school activity. High school students face the epidemic of stress. The most common of the stresses consist of 83 percent of high school students who worry of getting into a good college, 69 percent worry about what they will do with their lives and 65 percent have financial worries. Copying a person’s homework, plagiarizing a paper, paying somebody to do homework, taking or getting pictures of a tests or quiz; these are all forms of cheating that students use. Sixty to 70 percent of students in high-school have reported they have cheated and 90 percent of students have admitted they have copied another student’s homework. A pressure gets put on students by parents and teachers to meet a high grade point average so that they can be successful later on in life, but when students are more focused on grades than the material they are supposed to be learning, they are much more likely to cheat. Poor study skills lead to the feeling of needing to cheat because they want to succeed even though they have not put in the work. Another study shows 47 percent of teachers are not engaged or actively disengage in their workplace. The first standardized test, the SAT, began 1926 and by 1930 multiple choice exams spread rapidly and received many accusations of encouraging memorization and guessing instead of learning. In 2001 the No Child Left Behind act was put in place by president George W. Bush and reformed standardized testing and expanded it as a means of assessing school performance. 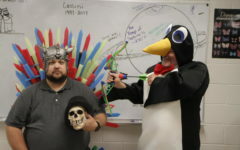 Today students from third to 12th grade face standardized testing and teachers are accused of teaching the test over and over using the “drill n’ kill” method, which focuses on teachers giving students repeated worksheets to cause the student to memorize materials. The national salary average of a test developer comes to $60,843 while the national salary for teachers comes to $56,383. In the state of Texas, students in the top 10 percent of their class get automatically accepted into most public universities – the University of Texas in Austin being an exception to this rule. The creation of this rule came about as a way to create diversity in college so that student of all backgrounds have equal and fair chances to be admitted. Our current system heavily weights tests. For core classes, the grade weights for a regular classroom are 50 percent for tests, 30 percent for quizzes and 20 percent for daily work. In an AP class, weights consist of 60 percent for tests and 40 percent for daily grades. 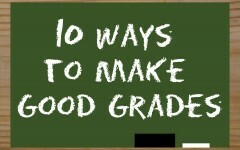 This grading system creates stress and leads students to focus more on grades than actual retention of knowledge. Research done on medical students shows the positive impact the pass-fail grading system has on mood, stress, test anxiety and group cohesion. The system has drawbacks such as teachers and students not being able to track progress of what the student actually learns. Colleges will not be able to differentiate between high-achieving students and those who are merely getting by . 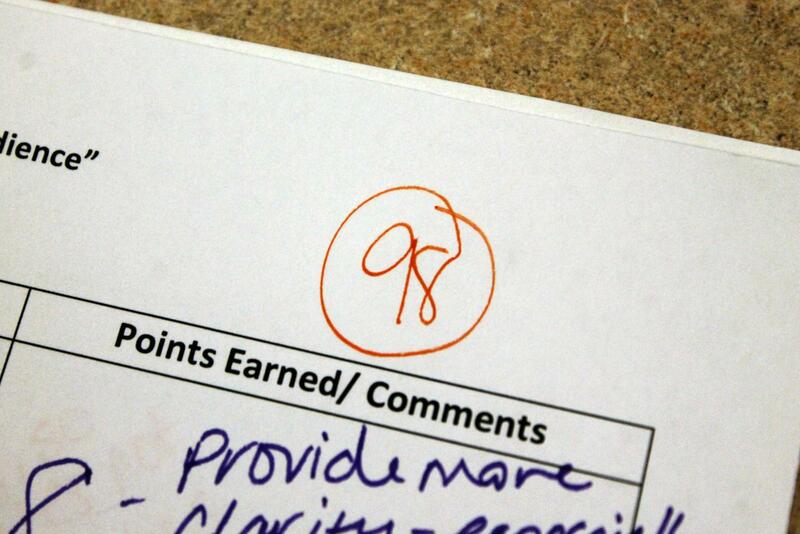 While the grading system helps to evaluate which students need extra help, it also creates the feeling of needing to memorize materials to pass a test. The ‘Not Yet’ tactic makes it to where students do not get a failing grade but instead the mark of not yet. This ensures that students do not feel like a failure and instead gives them a road for improvement. Students begin to grasp the concept that learning content is important, not just passing. The design of the school system today was based off of an industrial age instead of the knowledge-based one we live in now. Businessmen, military generals and former governors were appointed to run the public school system rather than educators. The school system reformed in 2002 with No Child Left Behind act with the purpose to hold schools accountable for the outcome of students. After this act, the U.S. slipped from 18th in the world in math to 31st place in 2009, with a similar drop in science and no change in reading. Some school have worked to change the way they educate their kids such as a high school in Chicago that implemented the “Not Yet” grading system. The value of education lessened by students’ focus on getting good grades leads to students not fully mastering content. Students with lower grades tend to have lower self esteem because of the pressure put on the number. Students place so much emphasis on this number that they let it define them and the goal of school becomes getting the highest grades – not learning. Margaret Vo, ranked in the top ten of the senior class, has her own struggles when it comes to being able to study. Students who often excel in their academics don’t always lock themselves away in their room, but hide out in a teacher’s room to better understand the topic they couldn’t fully grasp in class. Listening to music, silent rooms, physical, auditory and kinesthetic learning show some of the few ways high-ranking students help them focus better. Each student has their own preferred method of studying, and teachers want to aid students when they need help finding what works best for them. Students who work hard in their studies often find themselves rewarded with their position in the top 10% ranking of their class. Senior Lindsey Blakely, for example, uses her office aide block to catch up on homework and study for core classes. While Blakely recognizes there are different ways to go about it, she believes some hard work must get done to feel sufficiently prepared. Efficient study habits are not just helpful tools for high school – they can also prepare students for the rigorous coursework in college. The equivalent of college courses in a high school setting are noted as Advanced Placement courses. These classes often fill with students trying to enhance their high school academic portfolio or challenge themselves. AP courses often involve a textbook or two and require various amounts of at-home reading, causing some students to drop the course. 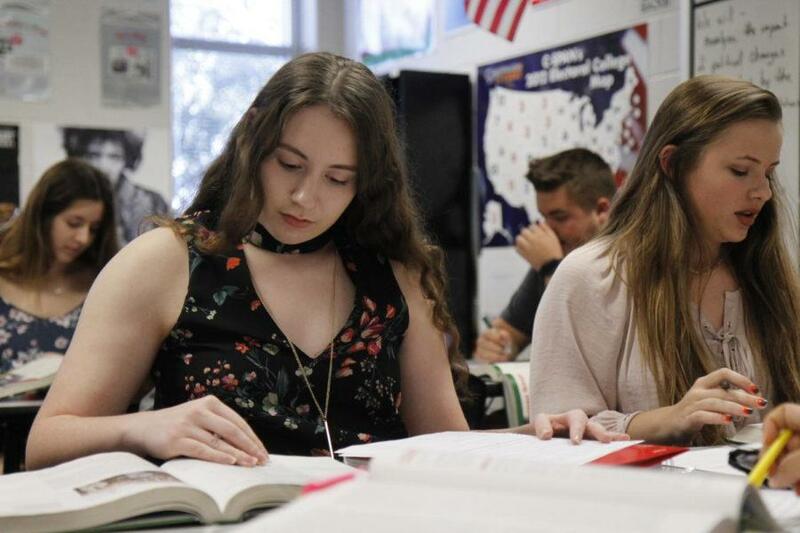 Because of the difficulty of the classes, most AP teachers try to equip their students with the necessary information required to be successful in their classroom. 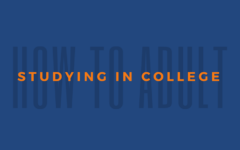 However, to get prepared for college, Keel believes variably rigorous Advanced Placement classes require students to engage more, which then teaches them valuable study skills to transition to college. Although Keel recognizes that some students who take AP courses for the first time find the classes challenging, struggle should not be seen as a ‘bad word,’ but rather a skill to be built upon. 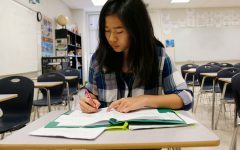 Younger groups such as the sophomore class have time to set their standards high to achieve the academic success by being able to set effective study habits early on. Sophomore Isabella Estes, when transitioning into high school, already had her standards set high, found her best study habits and set a routine.